Seems we can look forward to a new Linksys VoIP handset by next week. The WIP300 uses any 802.11b/g Wi-Fi network, includes a POP email facility and has 1.8" color display—but it's going to cost you. 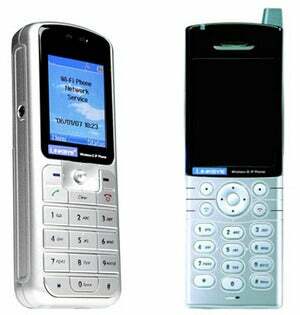 The phone runs for $250 (when was the last time you spent that much on a non-cellular phone? 1982? ), which Linksys claims it has actually marked down from $300. Thanks a lot guys. However, the point is that it looks good and supports the SIP 2 VoIP standard while being able to link up with your POP 3 and SMTP servers for email access and delivery. No word yet on price.